Cleaning the wood doors around your house may not be part of your regular housekeeping routine, but it's a good idea to do it periodically. The parts of the door that get the most abuse are the areas around the doorknob and the bottom of the door, which tends to pick up scuff marks from shoes. 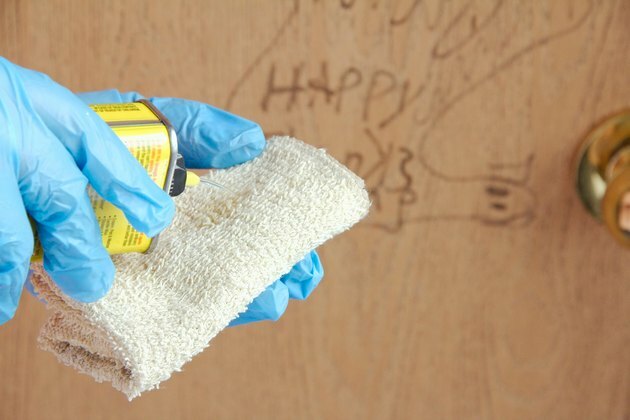 It sometimes takes a solvent to clean off greasy fingerprints and scuff marks, but it's important to avoid anything that can damage the finish. A weak soap solution is usually all you need; use mineral spirits for tough stains. Open the door and clean the top edge with a damp cloth, and then run the cloth along the side edge of the door. If the cloth doesn't remove all the grime that's there, repeat with a cleaning solution consisting of 1 ounce dish soap per gallon of warm water. 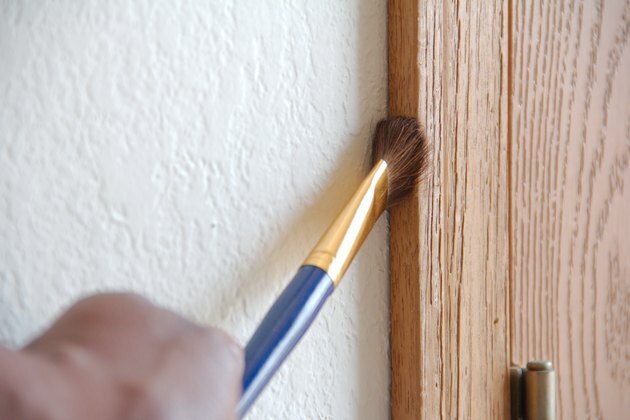 Clean dust from molding and trim on both sides of the door with a clean paintbrush -- it reaches into cracks better than a feather duster or rag. Wipe the surfaces with a dry cloth. Wipe down the area around the doorknob with the dish soap solution, and use this solution to clean scuff marks from the bottom of the door. Go over any areas you clean with a rag to dry them. Remove stubborn marks from around the doorknob, the bottom of the door or anywhere else on the door by rubbing them with a cloth moistened slightly with mineral spirits. 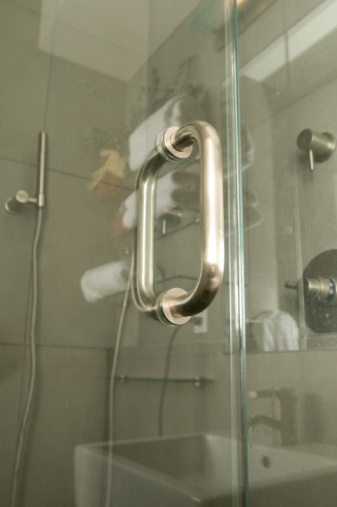 Wipe the door with liquid furniture polish after cleaning it, especially if you use mineral spirits. Mineral spirits may dull the sheen, and the polish restores it.